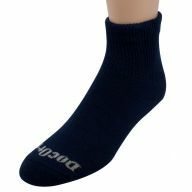 Spenco socks are designed and manufactured for people with feet problems or health issues that effect the feet. 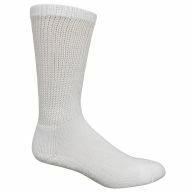 Corey's carries a large variety of Dr. specified socks all of which are diabetic approved. What makes a sock diabetic approved you may ask? Their are many factors that aid in the diabetic foot. 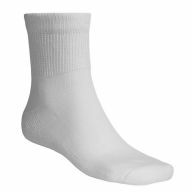 Each socks is seamless at the toe to prevent from rubbing or causing irritation. The top lines of the sock are graduated at the top to insure proper fitment for the swollen leg and prevent a ring around the calf. This aids in circulation to the feet which can be very poor in many diabetics. These socks put very little pressure around the top of the calf however contain an elastic rib top to insure that your stocks stay where they are suppoused to and do not continue to fall down to your ankles. Made of a moisture wicking material to help with moisture control and temperature control.